Director of Theater Kyle Reynolds announced that actress Deidre Goodwin will be visiting Kingswood Oxford on Monday, January 28th. Goodwin will speak at an assembly and then conduct a three-hour masterclass with KO students participating in the highly anticipated winter musical Chicago - High School Edition to be held on February 23 at 7:30 and February 24 at 2:00 in the Roberts Theater. Goodwin has a lengthy list of credits. Her film and television appearances include Chicago, Ocean's Eight, Madam Secretary, Blue Bloods, Rabbit Hole, Nurse Jackie, Law and Order, 30 Rock, and her Broadway credits include Chicago, A Chorus Line, Funny Girl, Boys from Syracuse, Dreamgirls, and more! 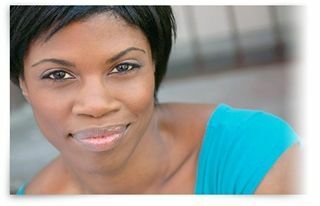 “Seeing Deidre was featured in the film of Chicago and on Broadway, I thought she would be a great choice to work with our students. She was also the first African American woman to have a lead role in A Chorus Line on Broadway. She filled Kelly Bishops' (1975, Sheila) shoes in the 2007 revival of A Chorus Line. I am thrilled that we will have this incredibly talented actress share her expertise with our students,” Reynolds said. Chicago is the second longest running musical on Broadway, based on the sensational trials of two women who committed murder. The book is by Bob Fosse and Fred Ebb; the music is by John Kander and the lyrics are by Fred Ebb. The musical is based on the play by Maurine Dallas Watkins; the script adaptation is by David Thompson. Kyle Reynolds will be direct and choreograph the KO production.